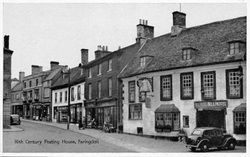 Faringdon History Society - Faringdon Community Website. Faringdon & District Archaeological & Historical Society (FDAHS) was formed in 1978 with about 12 members. The intention of the Society is not only to have speakers but also to be a working Society. Over the years members have exhibited their work on three occasions. The membership of the Society has fluctuated over the years but now stands at 25. Rosemary Church has been the Chairman for the whole of the Society's existence. Research into the societies records can be undertaken, for a fee of about £5 depending on the length of time it takes. All the research carried out by the society, together with reference books are available in the History Room, accessible when Faringdon Library is open. All the information on and around gravestones in All Saints Churchyard has been recorded. 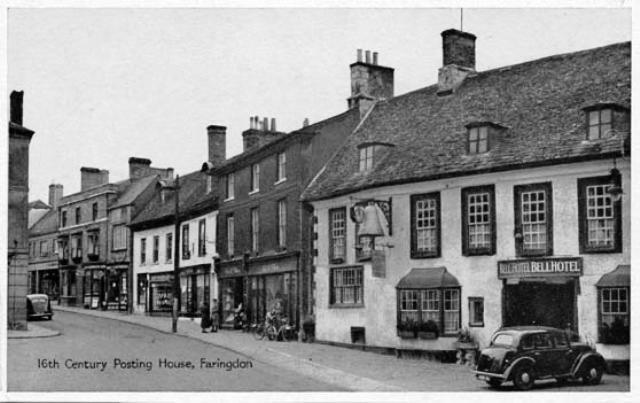 Four members of Faringdon Historical Society have published 2 volumes of a book called The Changing Faces of Faringdon and surrounding villages price £9.95 + p& p £1.50 in this country but extra for abroad(only sterling cheques accepted). The book is mainly of photographs and include many photos of people many of which are named. The date of these photos are from the 1890's to the 1990's. Volume 1 covers Great & Little Coxwell, Buscot, Coleshill, Fernham, Shellingford, Uffington, Eaton Hastings - the number of photos for each varies between three or four to more than a dozen. Volume 2 - includes different villages from the first book - Longcot, Shrivenham, Bourton, Watchfield, Pusey, Stanford in the Vale, Littleworth, Buckland, Charney Bassett, Goosey, Hatford. Price will probably be similar.